So, the other day at lunch I was doodling. Trying to come up with little felt patch designs for the upcoming plushies I'm working on. Instead I doodle a slightly more complicated cute bunny (and friends). I figured it was perfect to use as one of my Baby Canvas entries. I had even sketched him at the exact size. Perfect! 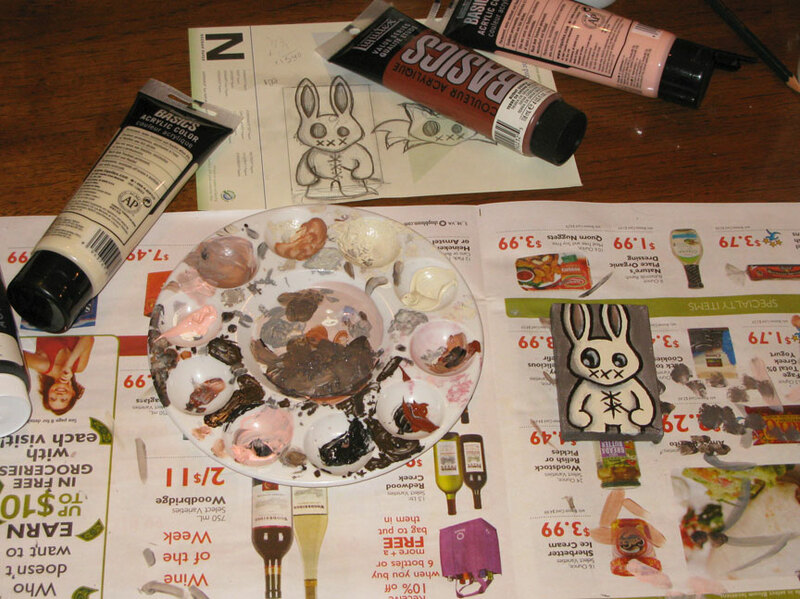 If you look closely in my messy workspace you can my sketch as well as the painting of the bunny in progress. I have a feeling him and his friends (not as easily seen here) will end up in my mental que of "Cute things to make into plush form". Here he is all ready to go off to the show! 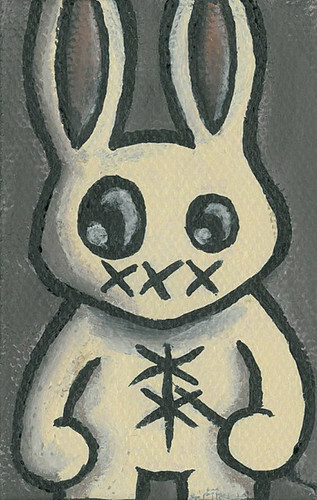 He told me his name is "Stitch Bunny". I feel I better listen to him and title him as such, otherwise there could be trouble.